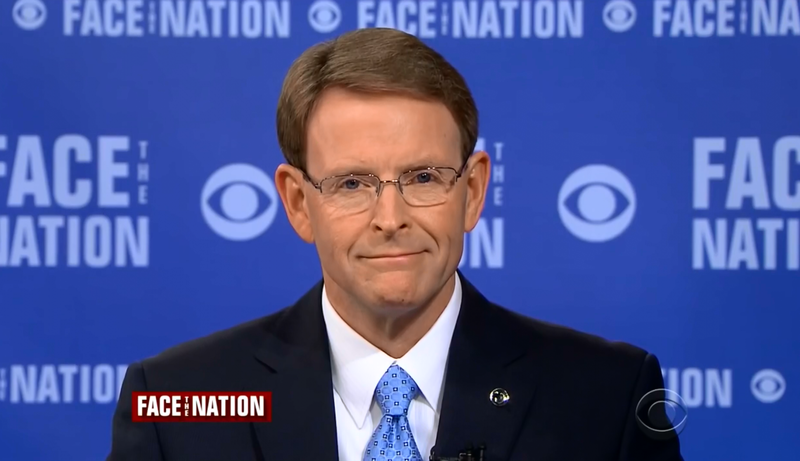 Tony Perkins is the head of one of the most extreme anti-gay hate groups in the country, yet media outlets continue to give him a platform that enables him to play a major role in mainstream conservative politics. In 2010, the Southern Poverty Law Center (SPLC) labeled Perkins' group, the Family Research Council (FRC), an anti-gay hate group, due in part to Perkins' history of making inflammatory comments about the LGBT community. Perkins has called pedophilia "a homosexual problem," accused gay people of recruiting children, and compared gay advocates to terrorists. Despite FRC's extremism, mainstream media outlets have treated Perkins as a credible and legitimate conservative commentator, regularly inviting him to speak on behalf of Christians without identifying him as a hate monger. The media's forgiving treatment of Perkins has allowed him to establish himself as a powerful force in Republican politics, using his national platform to pressure politicians who don't act in lockstep with FRC's extremism. Perkins' influence is especially evident at FRC's annual Values Voter Summit, a conservative political conference that has become a must-attend event for rising GOP politicians. This week, Republican presidential candidates will attend FRC's Values Voter Summit in Washington, D.C. to vie for social conservatives' support. And they'll likely do so without worrying that major media outlets will scrutinize them for cozying up to a known hate group. Failing to hold Perkins and FRC accountable for their anti-LGBT extremism isn't just bad journalism -- it proactively lends credibility to an organization that works tirelessly to attack and dehumanize LGBT people. As SPLC's Heidi Beirich explained, "If people were better informed about what FRC has said in the past... they'd be much less likely to be snowed by anything that comes out of Perkins' mouth or comes out of FRC." It's long past time for media outlets to stop giving Perkins a pass and start giving their audiences the full story behind who's leading the fight against LGBT equality. Video created by Leanne Naramore.